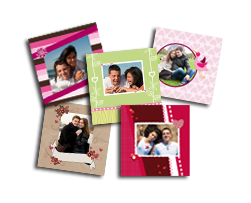 Create your own post card with the people that are important to you, or surprise your partner in a romantic way with a charming picture of the two of you! Our software is completely compatible with Windows, Mac and Linux. You don't need to install extra software to use our website; everything is online so you always dispose of the latest version. Furthermore, since it is not necesarry to register, you can start compsing your order in no time! 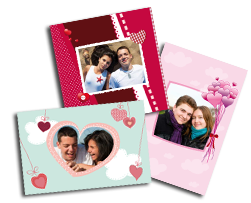 Our editor has been designed in such a manner that creating an album, calendar, agenda or postcard becomes an easy, simple and fun thing to do. We do several quality checks with each order: image quality, layout, final production and delivery; because we want you to enjoy your order to the fullest! Moreover, since all our products are made following a totally artisanal process, you'll always have something unique in your hands. Choose from our various themes such as holidays, wedding, communion, love, Christmas, baptism and many more. In addition, our designs continuously change, so that you can always enjoy the latest trends. Add and customize text, photos, cliparts and more! Guarantee 100% "Satisfied or Refund"
At DonAlbum we're totally convinced of the high quality of our products and our completely personalised customer service. If for some reason you don't like the result, we'll change your order or give you your money back. You choose, it's really that easy. At our AlbumOnline Skype account we're at your disposal from 9h until 18h (Monday to Thursday) and until 14.30h (Fridays) to help you as good as possible. We're also on Facebook and Twitter to help you or hear your opinion.